Over 1,000 people from the Republic of Ireland were surveyed. 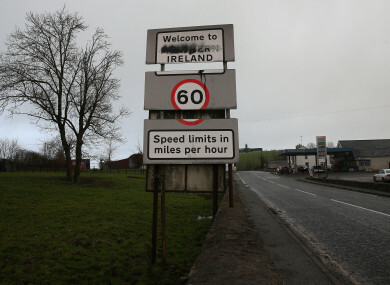 THE VAST MAJORITY of people would prefer to see a united Ireland instead of a hard border, a new poll has found. Research carried out by Amárach on behalf of the Claire Byrne Live show found that 86% of people wanted to see a 32 county republic rather than the 14% who wanted a hard border. Meanwhile, when asked “Are you in favour of a united Ireland”, 54% of people said yes, 21% said no while 25% said they did not know. Over 1,000 people from the Republic of Ireland were surveyed for both polls. The results of the poll come as Sinn Féin leader Mary Lou McDonald called on the Irish government to convene a forum to begin planning for Irish unity. Speaking over the weekend at the ‘Beyond Brexit’ conference in Belfast’s Waterfront Hall, McDonald said it was “irresponsible and arrogant for a Dublin government to shut down any prospect of a unity referendum”. She said that the Irish Government must not turn away from the “inevitable” and urged it not to deny people their democratic right to define their future”. “The biggest mistake – and most reckless course of action – is for leaders to set their face against the inevitable and to try to deny the people their democratic right to define their future. Email “Vast majority of people want to see a united Ireland rather than a hard border”. Feedback on “Vast majority of people want to see a united Ireland rather than a hard border”.